Under the terms of the settlement, Paragon will be given the opportunity to pursue registration of the PRG tokens as a class of securities under Section 12(g) of the Securities Exchange Act of 1934 by filing a Form 10, and will also be issuing a claims form allowing certain eligible ICO purchasers to elect to obtain a payment for purchases of PRG tokens before and including October 15, 2017. The settlement also provides for the payment of a monetary penalty to the SEC. 2018 has been an exciting year for Paragon: we’ve purchased, rebuilt, and launched ParagonSpace—a first-of-its-kind co-working space for cannabis startups in Los Angeles, California, the world’s capital of the “Green Rush.” In the heart of Hollywood, industry leaders are meeting, working, and hosting events to educate, support, and strengthen the community. Over the last few months a variety of companies have become tenants at ParagonSpace, and the energy and excitement generated in this innovation incubator is helping fuel the continuing growth and acceptance of the cannabis industry. Paragon has also made significant advances in our software solution development. The core elements of ParagonChain are ready, based on smart-contract interaction with the Ethereum blockchain. Soon we’ll begin to roll out user interfaces for different aspects of the supply chain, for both cannabis businesses and consumers. 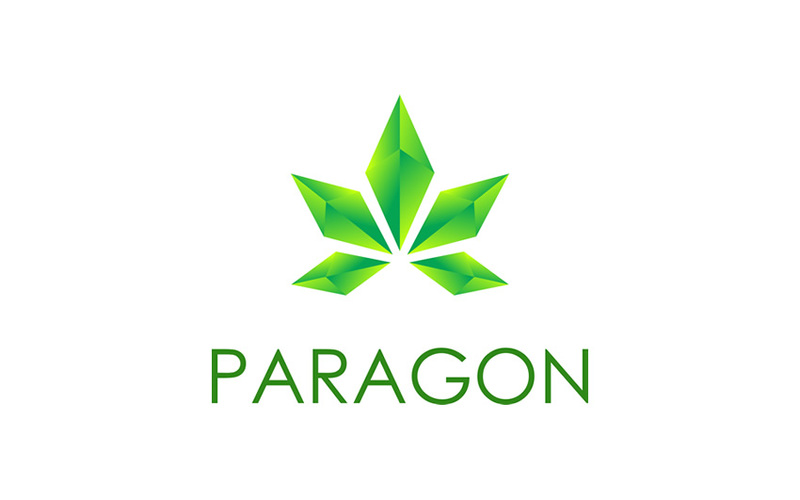 Paragon has entered into agreements with several major cannabis companies who are expected to start using ParagonChain for their day-to-day operations as early as December, including: Dreamfields, Fundanna, Flux, Oakland Distribution, Pearl Pharma, and Mammoth Labs. As for the mobile app, Paragon has launched Phase 1, with the first functionalities including the official PRG wallet and ParagonSpace member portal. As one of the first beta partners to implement Civic Technology’s secure login solutions, you can expect to see official ID verification online by the end of Q4. Likewise, ParagonAccelerator is picking up speed: it is on the verge of announcing the first “startup” developed through its comprehensive business acceleration program. This emerging company has joined the co-working space and has been utilizing Paragon’s vast network and internal / external resources, anticipating to officially launch next year. Paragon has been building out a partner network full of platforms, services, media, influencers, brands and products to help members grow and connect across the industry. Additionally, our offering includes marketing and PR support, and helping companies connect with legal and finance teams to navigate through the complications of the cannabis industry. Soon we’ll be announcing how we’re collaborating with other cannabis co-working spaces in the nation to bring members the utmost value by joining our community. Paragon has been a topic of conversation across the cannabis industry, landing features in some of the top national publications. Q1 brought much anticipation for ParagonSpace with High Times announcing “In the City of Angels, the moment cannabis entrepreneurs have been waiting for is finally here.” The news quickly spread across DOPE, Leafly, and The Hollywood Reporter to name a few. Leading up to the official launch and opening, Paragon was also featured in Inc, Forbes, Bitcoin Magazine and Nasdaq, highlighting the innovation behind our technology developments. Since the official opening of ParagonSpace, and the live NBC airing of the launch event, the company has continued to make waves across both the media and cannabis industry alike. Over the past 6 months, we’ve proudly worked with some of today’s top brands, including MedMen, Daily High Club, Eaze, CannaRegs, CCTV, Merry Jane, DOPE, PROHBTD, Stone Road, Levo Oil, Greenbox Robotics, Lowell Herb Co, Atlas Ediles, Green Helix, and Kiskanu, to name a few. Before the end of Q4, you can expect to see more updates and announcements surrounding Paragon’s partnerships, blockchain seed-to-sale technology, co-working space developments, and overall business expansion. Paragon seeks to pull the cannabis community from marginalized to mainstream by building blockchain into every step of the cannabis industry and working toward full legalization. Our strength lies in the unique blockchain/cannabis connection that uses smart contracts. We believe in blockchain, and we believe in the benefits of cannabis. More uses of cannabis are coming to light, and we want to accelerate that process. We believe cannabis is good for individuals and good for countries. We are passionate about moving forward in an ethical, morally responsible, and legal way. To learn more about Paragon, visit https://paragoncoin.com/ or follow us at https://twitter.com/paragoncoin. This press release contains forward-looking statements of the Company that involve substantial risks and uncertainties. All statements, other than statements of historical facts, contained in this press release are forward-looking statements. Forward looking statements can be identified by the use of the words “anticipate,” “believe,” “estimate,” “expect,” “intend,” “may,” “plan,” “predict,” “project,” “target,” “potential,” “will,” “would,” “could,” “should,” “continue,” and similar expressions. The forward-looking statements in this press release represent the Company’s views as of the date of this press release. The Company anticipates that subsequent events and developments will cause its views to change. However, while it may elect to update these forward-looking statements at some point in the future, it has no current intention of doing so except to the extent required by applicable law. You should, therefore, not rely on these forward-looking statements as representing the Company’s views as of any date subsequent to the date of this press release. All forward-looking statements are qualified in their entirety by this cautionary statement.